These rustic Spiced Apple Galettes makes a perfect fall dessert, they’re light, not overly sweet and are delicately spiced with cinnamon and nutmeg. I love the fall, to celebrate its arrival my family and I went apple picking at a beautiful orchard not far from our home. 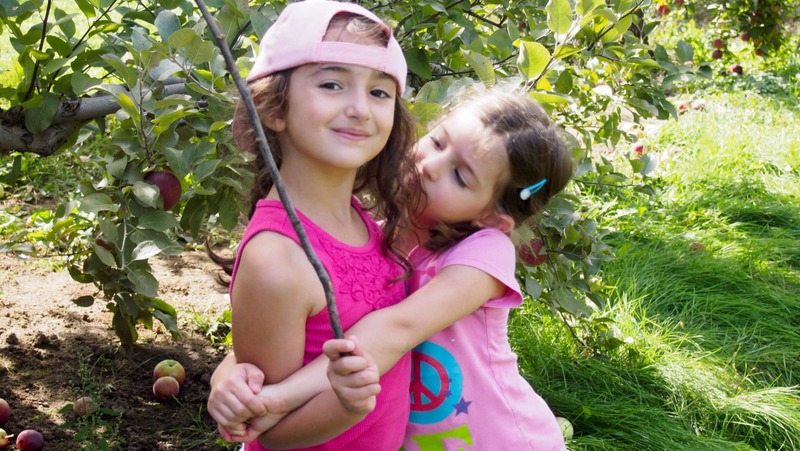 Apple picking is a really great activity to do with the kids, my daughters and I had so much fun. 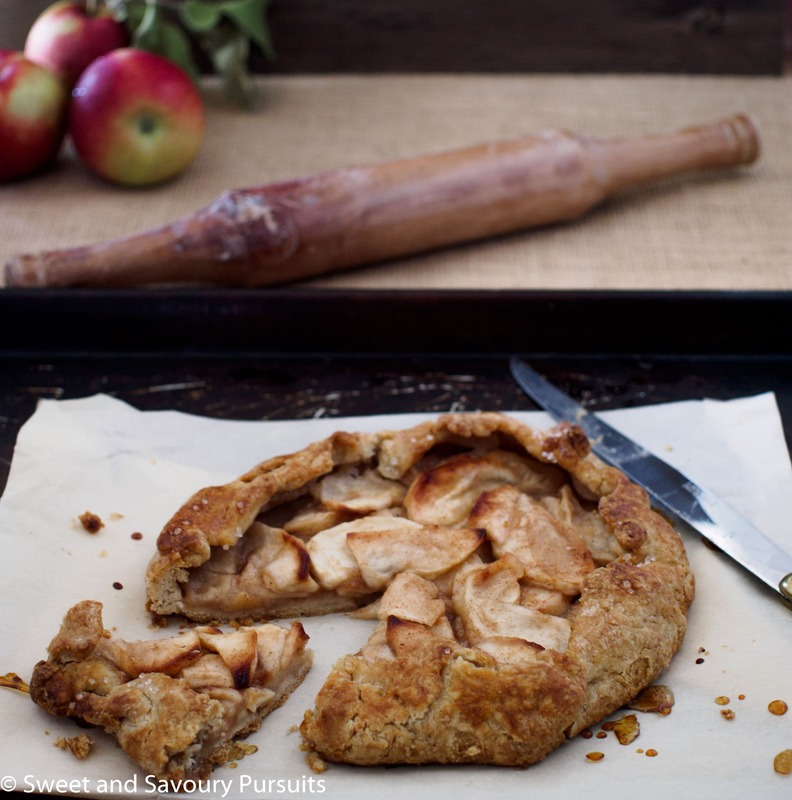 Some of our favourite desserts to bake and eat are those made with apples, pumpkins and pears. Such treats are abundant this time of the year, and that makes us quite happy. These easy to make Spiced Apple Galettes have a simple and rustic feel to them since the crust is free formed. I found making them this way actually easier than using a pie dish! The crust is easy to make and comes out delicious and flaky, I used a combination of all-purpose and whole wheat pastry flour but you can make it using only all-purpose flour. For the apples, I used Empire and Macintosh, but you can use a variety of sweet and tart apples that you like. This recipe makes one large or two small Spiced Apple Galettes. If you’re looking for more apple dessert ideas you’ll want to take a look at these Mini Apple Spice Bundt Cakes, they’re delicious! Rustic Spiced Apple Galettes makes a perfect fall dessert, they're light, not overly sweet and are delicately spiced with cinnamon and nutmeg. 11 tbsp. cold unsalted butter 160 grams or 5-1/2 oz. In the bowl of your stand mixer fitted with the paddle, on low-speed, mix the flours with the sugar and salt. Add in the cubed butter, and blend the flour with the butter for a couple of minutes until just small pieces of butter are visible and the flour sticks together when you hold it in your hand. In a separate small bowl, whisk the egg yolk with the milk and add it to the flour mixture all at once while mixing on low-speed for about 15-20 seconds, or until the dough comes together. If you want to make two smaller galettes, divide the dough in half and wrap each half with plastic wrap. Let the dough rest in the refrigerator while you prepare the filling. In a medium sized bowl, combine the apples with the sugar, cinnamon, nutmeg, lemon juice, flour and salt. Mix well so that the apples slices are well coated with the sugar and spice. Take the dough out of the refrigerator and let it sit at room temperature for a couple of minutes. Flour your surface and roll out each half of dough (or just one, if you are making one large tart) into a disk that is just about 1/4″ thick. Transfer the dough onto the lined baking sheet and top the centre of each dough disk with the apple slices. Gather the dough around the apples by overlapping the creases of dough over each other slightly. Whisk the remaining egg white (from the egg used in the dough) and brush the dough with it. Sprinkle the top of the galettes with the turbinado sugar. Bake the galettes on the baking sheet for 40 to 45 minutes or until the pastry is golden brown. Let the galettes cool for 20 minutes before serving warm, or you can let it cool completely and serve it at room temperature. You can make the dough the day before just make sure to remove it from the refrigerator and let it sit for 20 minutes (or until its pliable) at room temperature before you roll it out. It’s so exciting when apples come in to season! This looks so delicious. I love galettes! Your photos said rustic before I even read it. The galette looks amazing, and I too love your apple picture! Beautiful galette! 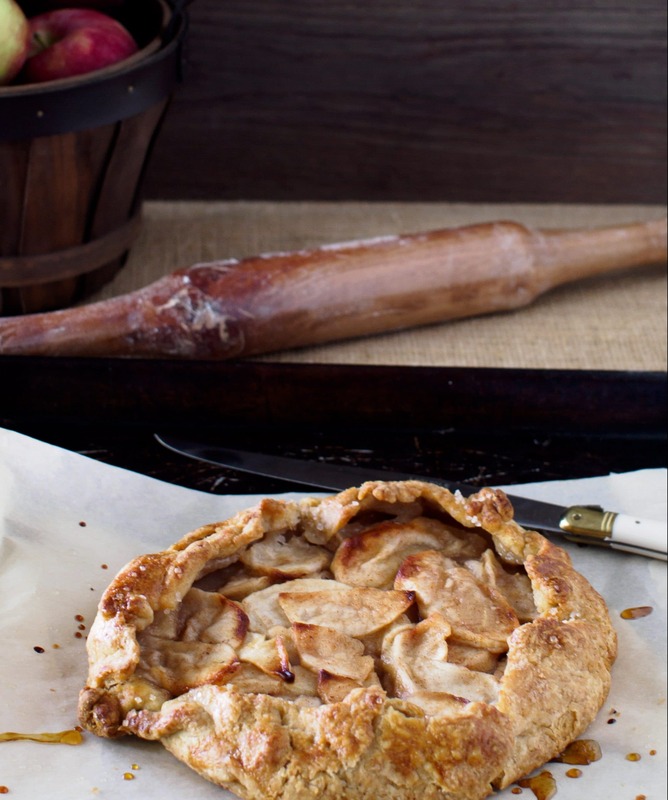 I’m a huge fan of the rustic feel a galette offers…especially with seasonal fruits. Your spiced apple version you’re serving today looks delicious! Your pictures of apples are really beautiful. And the galette equally so. I am still working my way through bushels of apples and will add this to my to-do list. Thank you so much! Bushels, wow, what do you do with so many apples? Thanks so much Angie, hope you’ll have a slice at FF! these look SO good ! can’t wait to see what you make with pumpkins (I’ve been needing a good from-scratch pumpkin pie recipe)..
Good question. I get them at a little stand across the road from my local lake, and they are so cheap I can’t resist them. They are very good, and close to organic, but then I am stuck preserving them. That way, they do last all winter. I bake, dry, make sauce and freeze, should make cider – in short, I am busy with all these apples. Wow, that’s great! I can see how they would keep you so busy. 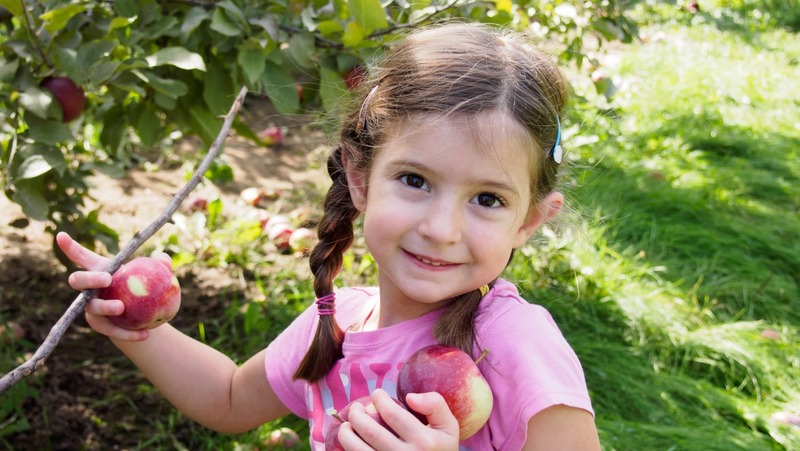 You’re lucky to have access to almost organic apples for cheap.